We’ve covered robot writers before, but to date it has never been much of a concern for actual writers. Robots just aren’t that good at doing what we do; although Microsoft’s ‘Tay’ did prove to be pretty great at going from zero to off-the-rails after dealing with some nasty Twitter comments — something any writer can relate to. 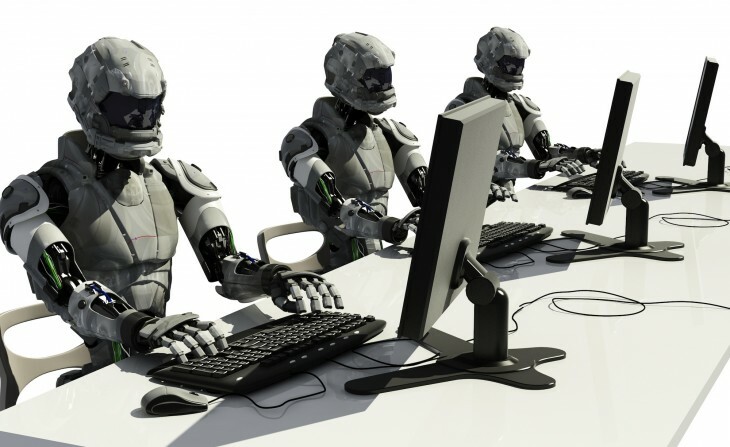 Until now, “robot writers” — artificial intelligence programs taught to write — were mainly only good at penning quick stories based on data-heavy reports. Box scores, stock reports, and the like were basically all the programs were capable of doing well. A team from Future University Hakodate in Japan thought differently. Upon completion of the novel, the team submitted it to the Hoshi Sinichi Literary Award, a contest that received 1,450 submissions. 11 of these were written (at least partially) by non-humans, but Hitoshi Masuraba and his team were the only one to make it into the final round. “I was surprised at the work because it was a well-structured novel. But there are still some problems [to overcome] to win the prize, such as character descriptions,” said Satoshi Hase, a Japanese science fiction novelist who spoke at a press conference after the contest. The criticism by Hase echoes that of others who question whether robot writers have the chops to best a human writer. While AI is good at doing what it’s told to do, it can’t branch off and be truly creative, as it’s operating within the bounds of its programming. Additionally, it can’t relate to humans, thus making the character development problem Hase spoke on an obstacle that has proven insurmountable, at least for now. Matsubra and his team believe it’s possible to create a program with the sort of autonomous intelligence and creativity needed for robots to truly excel as writers. When that happens, we’re all in trouble.